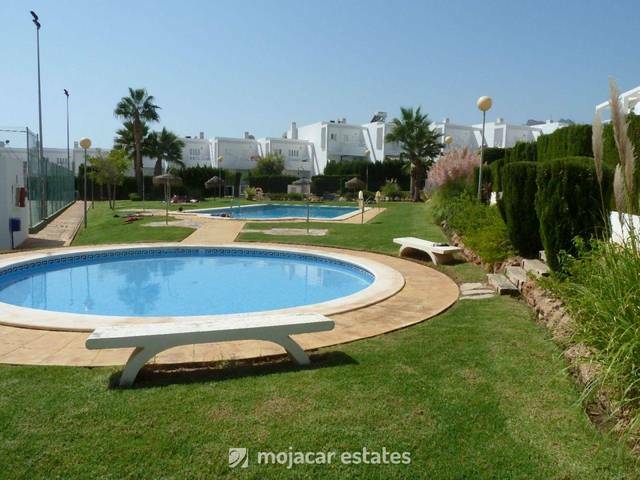 Jardines de la Marina - Sea frontline position 2 minutes' walk to 18 hole golf course. Lovely townhouse for 5 people in community with swimming-pool and sea views in sea fronline position. Integral garage for 2 cars. 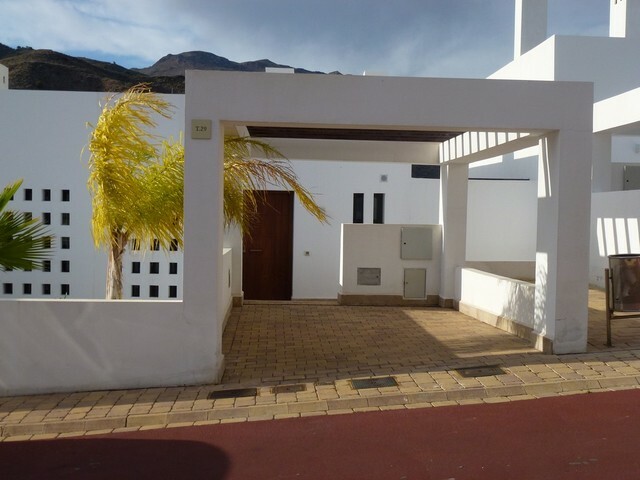 Location: This townshouse is located in Marina de La Torre Golf, ( next to Best Hotel) at the far end of Mojacar ( north end) only a few minutes' walk to Garrucha, a fishing village with its onw marina and promenade. Accommodation: Access by car is directly from the street into the community underground level that takes you into the integral garage. Steps from the garage ( basement) lead up to the main living area in the ground floor. Ground Floor: main entrance door, corridor, fully equipped separate kitchen with dishwasher and all other white goods, shower room, lounge with dining area and access to front terrace with awning and terrace furniture and with sea views. Upstairs: There are 3 bedrooms and 2 full family bathrooms. One floor up we will find a laundry room and private roof terrace.